Don’t waste your time designing and/or packaging a Constant Current output OpAmp or Voltage to Current Conversion amplfier circuit for your application. Utilize one of our self contained Ready Modules for your application or simply use in conjunction with a basic Multimeter as an inexpensive alternative to an expensive Constant Current Source / Sink. Converts from input voltage to output constant current. a.) 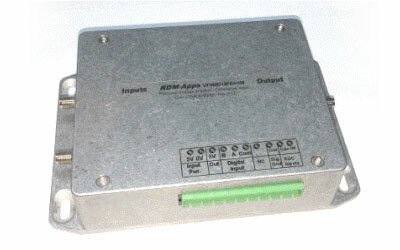 Option#1: ±10V input relative to applicable module full range current out. b.) Option#2: Manual Trim-Potentiometer adjustment . Call for larger Load Voltage or Load Current modules. Current output offset null & gain adjustment capability for calibration. Voltage Monitor Output relative to Constant Current Output. Grounded Load Modules Only! Contact us for multi-range, multi-port or custom constant current modules / applications. Both Grounded & Floating Outputs! 4-5V less than applied by the external Bipolar power supply.